Selling music direct to fans can be a chore, and major distributors often have a better model for disseminating tracks out into the world. But what if artists could have the best of both worlds? With Drip (formerly Drip.FM), a hybrid model is taking off, and in today’s guest article from Casie Millhouse we take a closer look a how the fanclub-style system works for 7 different labels and artists. What if there was a way to keep fans and followers in the loop when new releases came out before they were released on major retailers? What if there was a way to get paid every month but also interact with fans in a “you can’t come in if you don’t know the secret password” sort of online club? “The concept around Drip is that the walls between creators and what they create has come down a bit. There are opportunities for creators, including labels, to provide a more holistic approach to sharing what they do and fans can provide value at the level of the creator, directly, if they choose. For many fans, these “clubs” (drips) have become a go-to place for music, where they know their money is going to the labels and artists directly. To get a better understanding of how well this system actually works, we asked 7 labels/artists to shed some light on the creator’s side of the Drip experience. What’s one thing that’s surprised you about the experience on Drip.com? Can you share a tactic you used to make your fans happy? Listed in order of responses received. Turbo Recordings was founded by Tiga in Montreal back in 1998. In addition to launching his own career, the label has been integral in the success of acts like Chromeo, Proxy, and most recently, Azari & III. Core talent includes Duke Dumont, Brodinski, Boys Noize, and a host of new young producers. COMMUNITY is the joint drip of two house labels A-SIDED and Play It Down where they share what they do with their fans. Let’s Play House (LPH) was formed in late 2009, based out of Brooklyn and helmed by DJ/producer Jacques Renault and Anthem magazine senior editor Nik Mercer. LPH focuses on curating energetic, comfortable, and warm environments, in which attendees can loosen up and forget their worries. The label that helped put digital cumbia and other modern Latin American derivations on the map, ZZK Records is pushing LatAm culture into the future. Chancha Via Circuito, La Yegros, Frikstailers, El Remolon, Animal Chuki just to name a few. 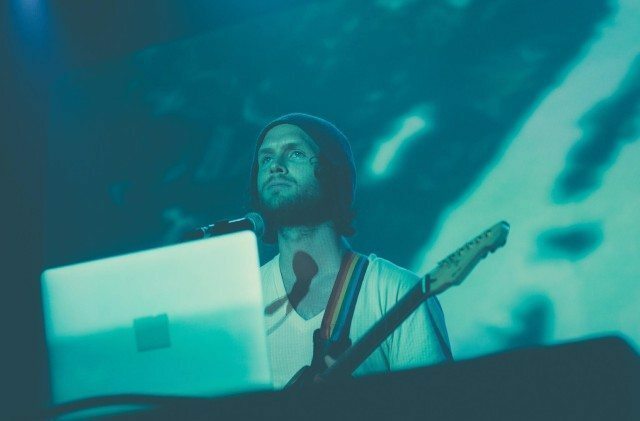 Christopher Willits is a creator focusing on immersive audiovisual experiences where sound, image and imagination overlap. M+6 is a label pool on Drip. Participants are Morr Music (+ sublabels), Shelter Press, Miasmah, Sonic Pieces, Immune, Root Strata + Altin Village & Mine. Bedroom Community is an Icelandic record label/collective formed in 2006 by Valgeir Sigurðsson, with Nico Muhly and Ben Frost, later adding Sam Amidon, Daníel Bjarnason, Puzzle Muteson, Paul Corley, Nadia Sirota and James McVinnie to the intimate roster. Over To You: Drip or Slip? Many artists and labels are confident that this online version of music distribution is a perfect solution for an era in the music industry that requires creative solutions to keep listeners interested. Modernizing a subscription fanclub model is a pretty ingenious solution. Want to try out what Drip is like from fan’s perspective? You can subscribe for free and check out some of the top content picks from the Drip editors here. For labels, it’s a pretty fair pricing breakdown to set up a Drip of your own – with an 80 or 85% revenue split to the label/artists. For now the process is selective – with company only partnering with labels or artists with a track record of releasing regular content to their followers. You don’t have to be Skirllex or Claude VonStroke to launch your own Drip, but you do need to be ready to provide value to your biggest fans. 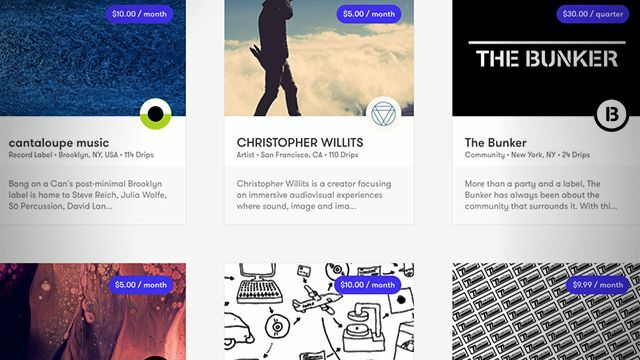 Drip started with music communities and has expanded to include nonprofits, visual artists, and more. While Drip might be the first of this kind of platform, it’s clear there’s a winning model here – giving fans what they crave. And the company started with music communities, but they’ve since expanded to include nonprofits, visual artists, and more.